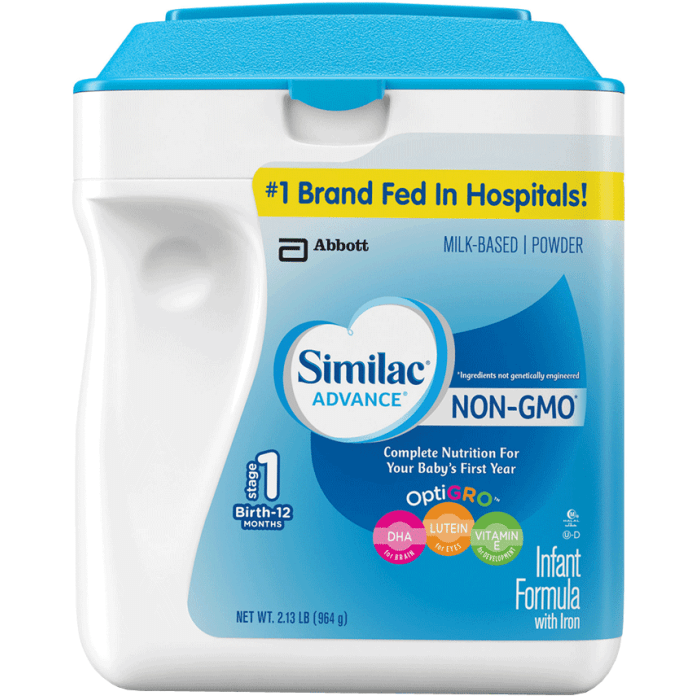 Similac Sensitive is a nutritionally complete milk-based iron-fortified infant formula, featuring OptiGRO, our exclusive blend of brain & eye nourishing nutrients for baby's development. Similac Advance is designed to support your baby's developing immune system, brain, and eyes, and to help build strong bones. Now available in a Non-GMO option.Ingredients not genetically engineered.